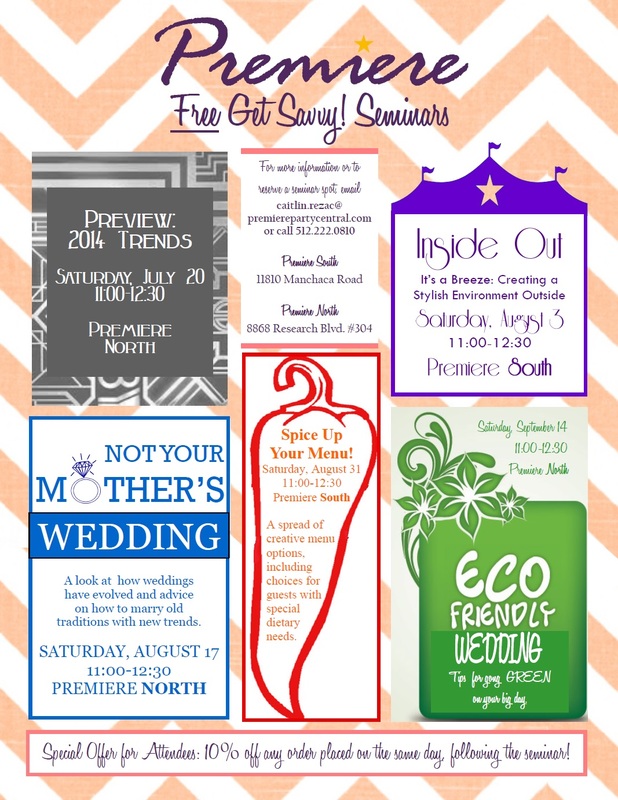 This summer Premiere is hosting a number of seminars for brides-to-be! Check out the detailed info below and join us for some fun! This entry was posted in Uncategorized and tagged 2013, 2014, Austin, events, free, planning, seminar, summer, tips, trends, tricks, weddings, What's New. Bookmark the permalink.